I am happy and proud to say that Cavan has been binkie free for almost 2 weeks now! It was completely not planned, but the tip of his last one was ready to fall off, so rather than deal with the worry of him biting it off and choking in his sleep, I told him it was broken and had to go to the Binkie Fairy. He didn't like that explanation so I ripped the tip completely off and gave it to him. He tried to put it in his mouth and then threw it and told me it was broke. Well, ok, bye bye binkie then! All was fine during the day, he really didn't seem to miss it all that much and really only asked for it a handful of times. Night time was a different story. For 18 months this was his nightime soother... or so we thought (but I'll get back to that in a minute). He had a really hard time the first few nights. He fought us on going in his crib and when he would wake in the middle of the night, he was almost impossible to comfort. I honestly contemplated giving in and getting him a new one, but held off. He was in our bed every night and kept us up for most of it. Then, all of a sudden, it started to get better. He started going to bed a little easier. Then he stopped waking in the night. Let me make a note in here that my son has slept entirely through the night about 5 times in his life prior to this. Now for the last week he has slept through the night every night! So was the binkie the source of his bad sleeping habits? I'm going to go ahead and say yes based on my own observations with him. Kaylie, on the other hand, well she's not happy unless she has all 4 of her binkies in sight or hand at all times. We've got a long road ahead of us with her, but the "Binkie interrupts sleep habits" theory I have for Cavan, SO not the case with Kaylie. She has always been an amazing sleeper because of her binkie. Kaylie has a slight obsession with swings. Once she sees one she wants in and as soon as she's in it's almost impossible to get her out! I've decided to share my take on the phases of parenting from a non-medical point of view, you know, because I don't have a Ph.D at the end of my name. Just thought I'd share for any of my friends/family/readers who just had a baby, are pregnant, or thinking about trying. Or for any of you who can relate to any of these, you at least know you're not alone! Obviously these are just from my own experience and are infused with a little humor, but are all 100% true in my case. Enjoy! Feelings: You're baby(ies) were just born and nothing else in the world matters. They are wonderful and such a little miracle. Relationship with Spouse: Pure adoration. You can't believe the two of you could make such beautiful and perfect little creatures. Finance: Woohoo, free diapers and formula from the hospital. These will last us a while right? Life is great! Big Question: "What the heck is the football hold?" Looking Forward to: Going home and enjoying the comfort of my own bed WITHOUT a nurse checking my vitals every hour! Feelings: Reality and Fiction are interchangeable. Sleep is no longer in your vocabulary, although your children love to taunt you throughout the day by sleeping away the majority of it. And OMG, did I fall asleep feeding the baby.. Nope that's just the dog laying in my arms (True Story). What do you mean "So-and-so's" baby sleeps through the night? I never liked them anyways. Relationship with Spouse: GET UP! GET UP! GET UUUUUUUP! It's your turn to feed the baby(ies)! Finance: What do you mean that outfit doesn't fit anymore? I just bought it LAST WEEK! Big Questions: "How exactly do you get the onsie off when there is poop ALL the way to her neck?" and "How do I sleep when the baby sleeps while simultaneously doing the laundry, washing bottles, and keeping the house clean?" Feelings: I can conquer all. My kids sleep between x hours and eat at x times throughout the day. We go shopping at this time, read at this time, and our bedtime routine consists of bath, book, song, bed. DO NOT BREAK MY SCHEDULE! Relationship with Spouse: Why are you letting them nap at 5:00??? SERIOUSLY? Finance: No no sweetie, we swallow the mushed up carrots because they cost $0.97 cents/jar and you each need 3 per day. Did you honestly just poop in your diaper after I just changed you? Do you know diapers are $44 per box? I'm deducting this from your future allowance. Big Question: "What time can we run to the store when it won't interfere with a nap or feeding?" Looking Forward to: Crawling/Walking! Won't it be so cute when they're mobile? And there'll be SO much more to do with them! Feelings: Can I get that with padding? You also assume the holding a bubble around your child stance. You know the one I'm talking about, arms rounded, legs bent, waddling behind your baby who is learning to stand/walk. Relationship with Spouse: Teamwork, "You cover that one and I'll cover this one"
Finance: "It cost how much to baby proof the whole house?" Big Question: Do they make helmets for babies learning to walk? (Yes they do exist, no I did not end up buying one, but thought very hard about it). And "Why won't they just sit still for one minute... just one?Why did I encourage this again?" Looking forward to: Sitting, just for a minute! Feelings: My child can say 5 words, does Harvard have an early enrollment program because clearly I have a genius on my hands. Relationship with Spouse: "Did you teach him to say that, because that word would NEVER come out of my mouth!" Finance: Wooo, milk is SO much cheaper than formula! CHA-CHING! Big Question: "What's the earliest I can get the kids to bed without them waking up before the sun in the morning?" and "Is my child 1 1/2 going on 13? Did she really just tell me to COME ON?" 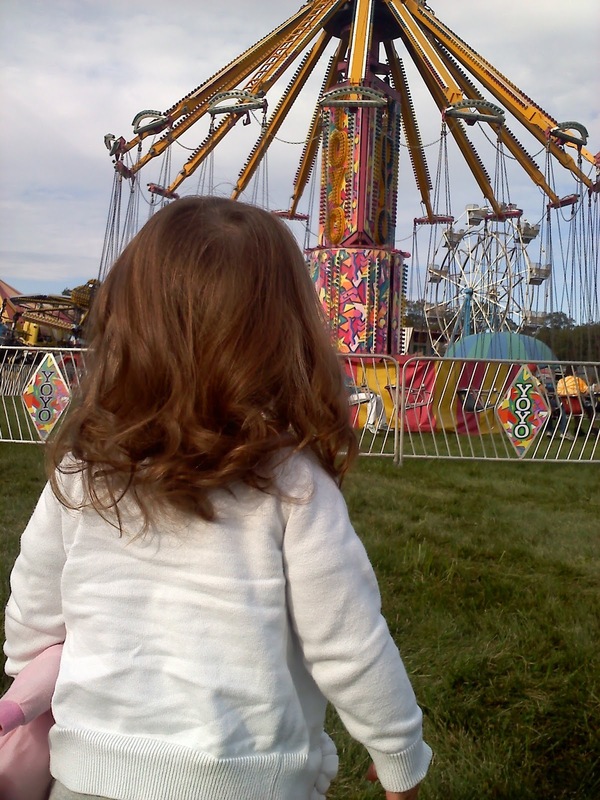 Looking Forward to: Potty training and no more diapers! One thing a lot of people have told me is that my children speak very well for being so young. At 18 months they can already speak in 2+word sentences. I don't know if this tidbit has anything to do with it, but I don't think it hurt. Being a stay-at-home mom, you don't get to have too many conversations throughout the day. So from the day they were born I just talked to my babies. I'm not saying we had political debates or anything, but I would basically just dictate everything I did while I did it. For example, when I would change their diaper, I would tell them when I was going to get the diapers, when I was changing their diapers, and when I was throwing away the dirty diaper (I know, what a conversation huh? but hey my topics were limited). Now 18 months later, I can tell them to go grab their diaper and bring it to me, they know where to go to get changed (although they are not always cooperative), and they know where I throw away their diapers (Side Note - They love to throw things away and it is the first place I look when something is missing). I've noticed that they have picked up on so much and they completely understand me when I say something. They know where things are when I ask them to go grab them. They even repeat certain things I say (i.e. "It's tubby time" when it's time for a bath or little songs I sing to get them moving to another part of the house). I don't know if this is scientifically proven or if its the same for all children or if my children are just geniuses ;) but it kept me from becoming mute all day at least. So to sum up my tidbit, TALK to your kids, from day 1! Trust me, they're listening. 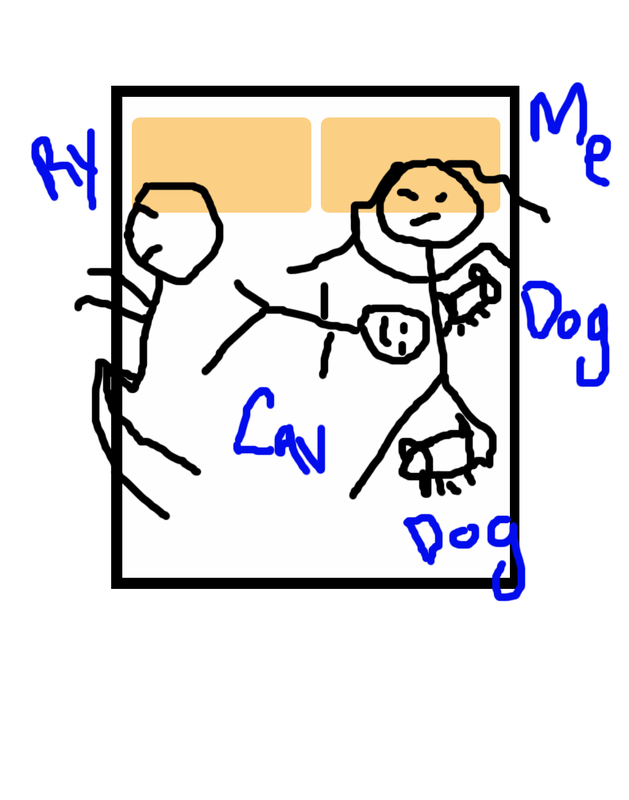 Now this isn't a post on co-sleeping vs sleeping in the crib, just throwing that out there. Every time my son is teething its almost inevitable that he will end up in our bed for the night. He always starts out in his crib and then sometime in the middle of the night, after several trips to his bedroom, I cave and bring him in just to get a "Good night sleep". Why is that in quotations? Because the only one getting a good night sleep is him. My son, folks, is a bed pirate. Totally drawn to scale, art skills at their finest! As you can see, my son sleeps sideways to begin with. He typically has his head on my belly or wedged in my armpit! Poor Ryan though gets the worse end... the feet. 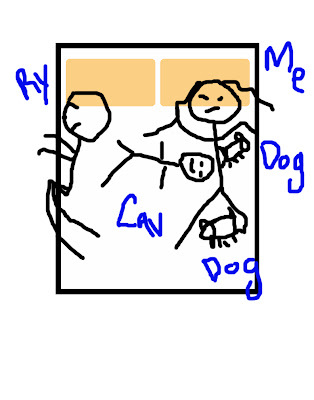 Cavan literally kicks Ryan to the very edge of the bed every night. I think at this point we have two options, get Cavan to stay in his bed (without waking up Kaylie) or get a bigger bed. I'm thinking we're in for the latter. One thing I love to do is to get the twins actively involved in the world around them. 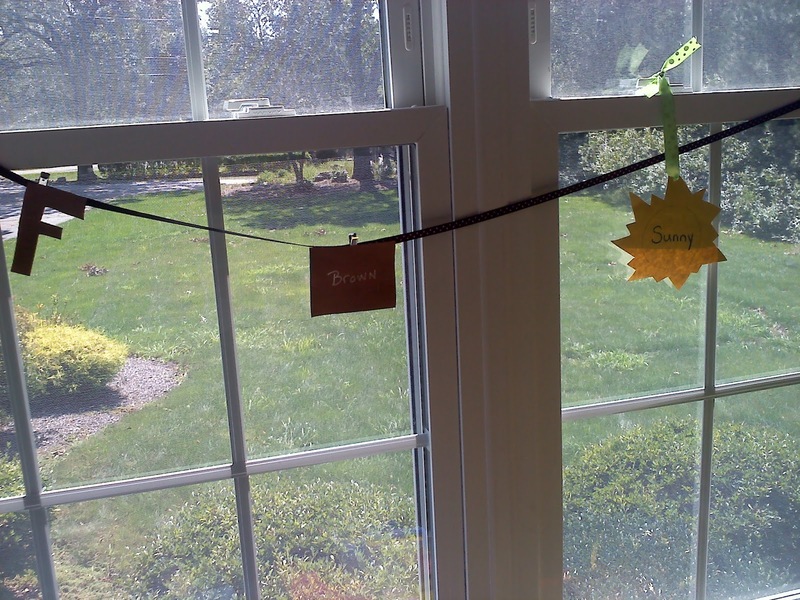 So every morning we go into their playroom and on the window we have a color of the week, letter of the week, and then we check the weather and hang the corresponding weather icon (i.e. if its sunny out, we hang a sun, Cloudy we hang a cloud). It has become a fun morning routine and the kids go running into their playroom as soon as I say, "Let's go check the weather!" They're getting very good at remembering what each icon represents and telling me what the weather is. They are also really learning their colors. They constantly point out different colors they see around the house or when they're coloring. Some other activities I like to incorporate with these are color scavenger hunts where we'll look for things inside or outside the house that are the color of the week. I usually will give them a new word everyday too that begins with the letter of the week. They repeat almost everything anyways so why not expand their vocabulary while also building their letter recognition. Is it too much to be teaching my 1 1/2 year olds all this. NOPE! Because I don't expect them to remember the color the first day, or always understand that frog begins with f, but if something does stick along the way, well hey it's better than nothing right? Always remember my mantra, every situation has an opportunity to teach a lesson so take advantage of young minds eager to learn!